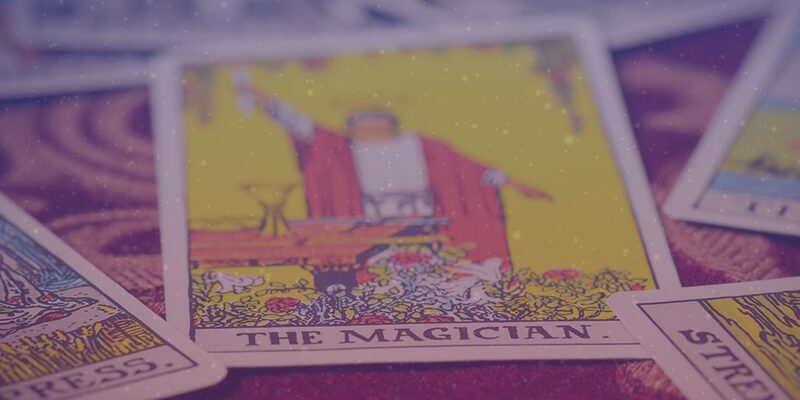 Throughout 2018 we’re going to select one tarot card each month and investigate its meaning. Today, let’s take a look at one of the most misunderstood cards in the deck – the Death card. The Death card is the one that often instills fear in people, particularly those who are unfamiliar with the tarot’s powers and each card’s meaning. However, this card certainly doesn’t indicate that your life is about to end. In fact, far from it. In reality, it tends to suggest that new beginnings are on the horizon and a fresh start is entirely possible. When the Death card appears in a reading, consider it a blessing and a sign that you can transform the aspects of your life that you’re unhappy with and even start all over again if you wish. Think of your life as a blank canvas. How you paint your world and spend your journey is entirely up to you and by making the most of the promising opportunities thrown your way, you can shape your life into exactly what you dream. Death can be an inspiring and encouraging card for those who understand how to use it. Let it you with the motivation you need to turn over a new leaf and really achieve your goals. With this card by your side, you’ll be a master of self transformation and a force to be reckoned with. 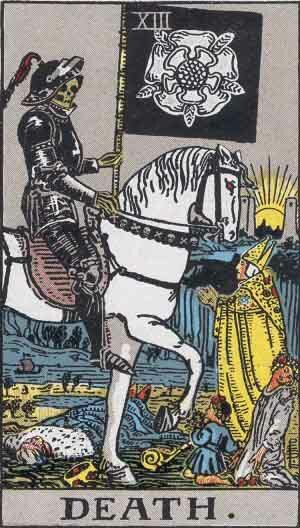 When the Death card appears in reverse, this suggests that you’re on the verge of a huge life change but something is standing in your way and preventing the transformation from actually taking place. Are you your own worst enemy in this respect? As humans, it’s perfectly natural for us to stand in the way of our own progression, but by holding yourself back you could be missing out on a world of opportunities and happiness. Don’t let self doubt and a lack of confidence stand in your way. Rather than worrying about success or failure, focus on trying. A willingness to try new things can be the difference between always wondering ‘what if?’ and opening up some exciting life-changing doors. If you’re not standing in your own way, there could be another type of obstacle that needs to be overcome. Have faith in yourself because by working hard and using your intuition, you can find what’s meant for you and achieve the impossible.